I’m sure you are like me (and everyone else in the world) and like to score a deal. You know those stores that you have to check out frequently because once the item is snatched up, that’s it, no more. I don’t get a lot of time just to shop aimlessly. And when I shop for my home I like to score a deal. Recently I discovered Daily Sales at Wayfair. They have a ton of items with a ton of inventory. Let me show you what amazing items I found and which one I ended up picking and styling. After signing up for Wayfair’s Daily Sales emails, all you need to do is check it out daily for amazing deals. I found these three items all on the SAME DAY! There are just so many great deals going on all the time. Then I thought this patio cooler would be amazing for our deck. 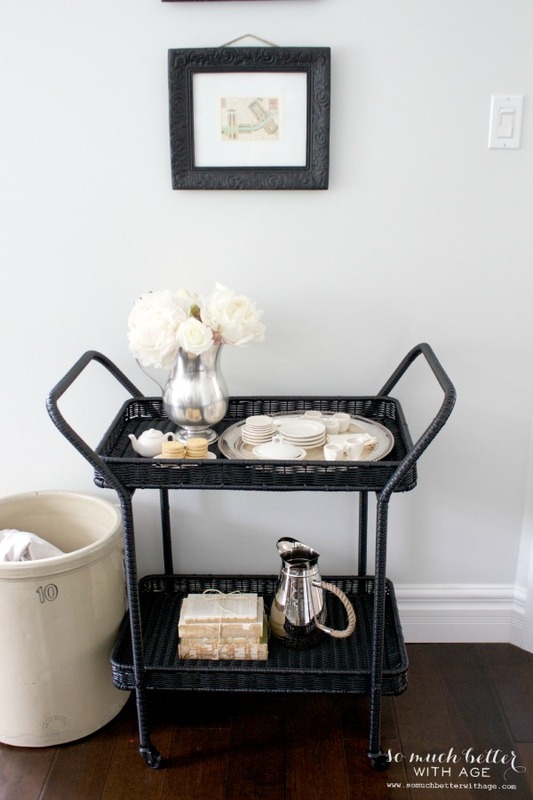 But when I saw this serving cart I knew it would be more more multi-functional for the home. My idea is to use it outdoors. Our back deck is a bit hard to get to from the kitchen – you have to go down the hall, through the mud room and out the door. So I’d really like to use this to carry out food items for BBQs. But in the meantime…how cute is it in my dining room? 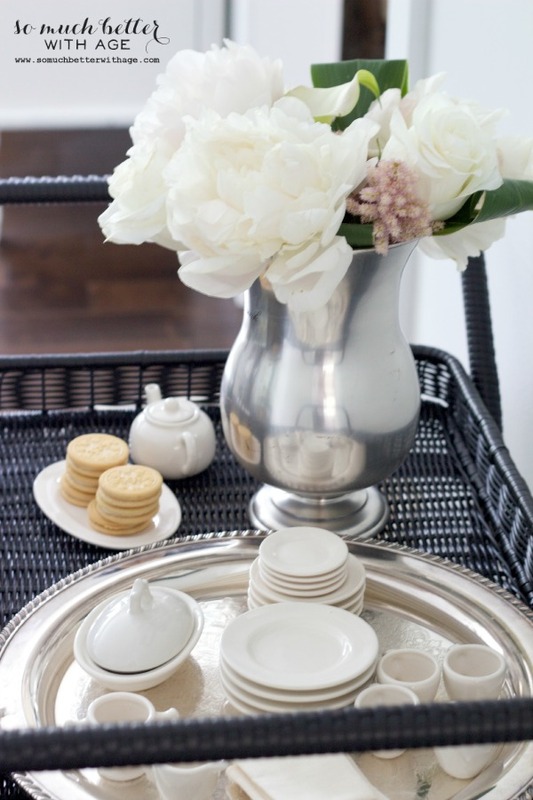 I styled it for a little tea party. 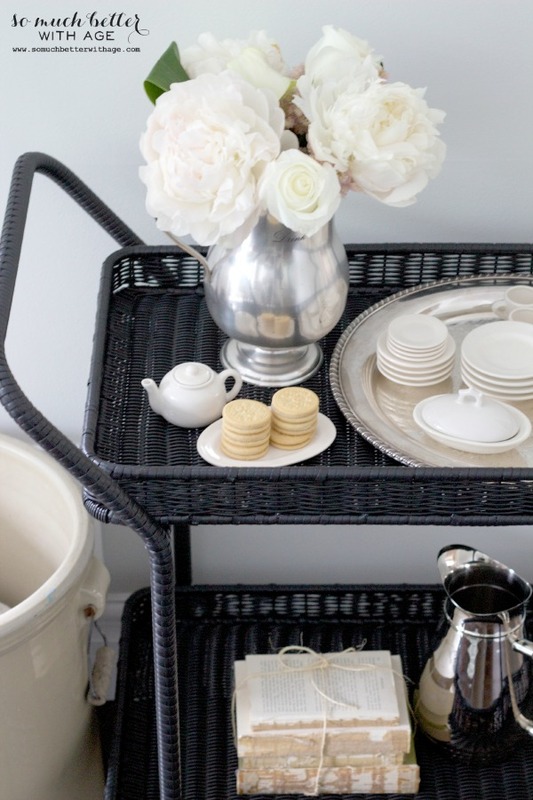 I love having multi-functional pieces in the home. My daughter thinks it’s a great stroller for her puppy dog. Make sure you don’t miss out on the amazing deals at Wayfair and sign up for their Daily Sales! 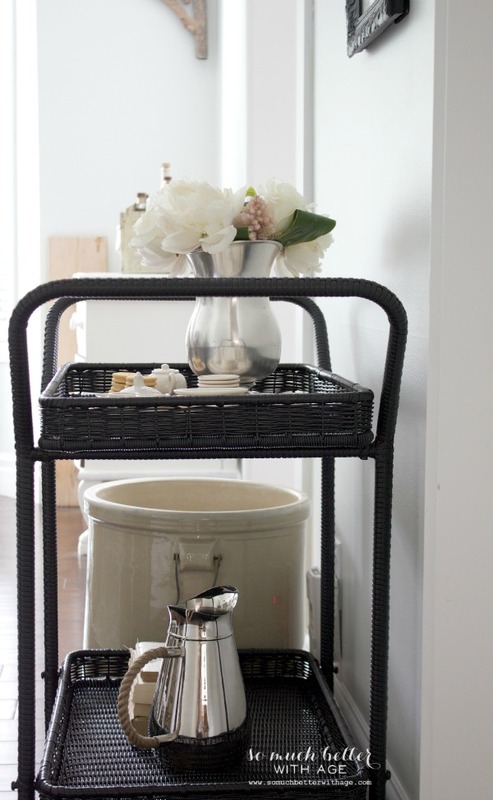 Love this cart! And its so versatile – you could use it outside, kitchen, anywhere! 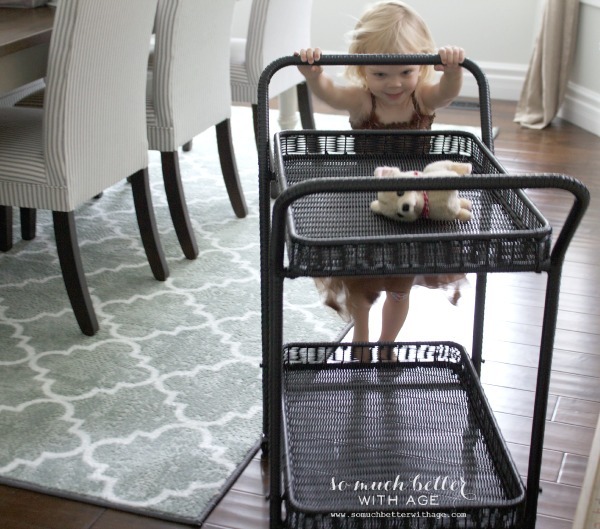 And Landry totally does what Audrey is doing with your cart all the time! 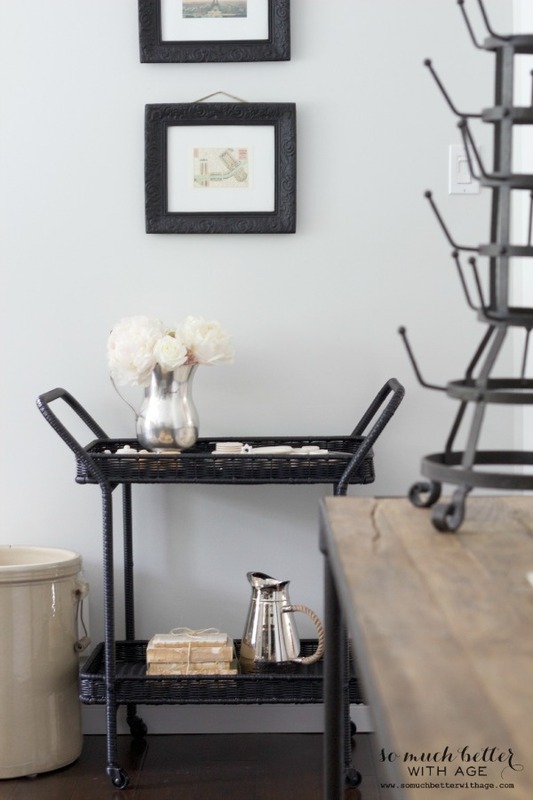 Where did you get the bottle drying rack that appears in the photo (it looks to be a gray color)? I’ve been searching for the longest time for something similar. 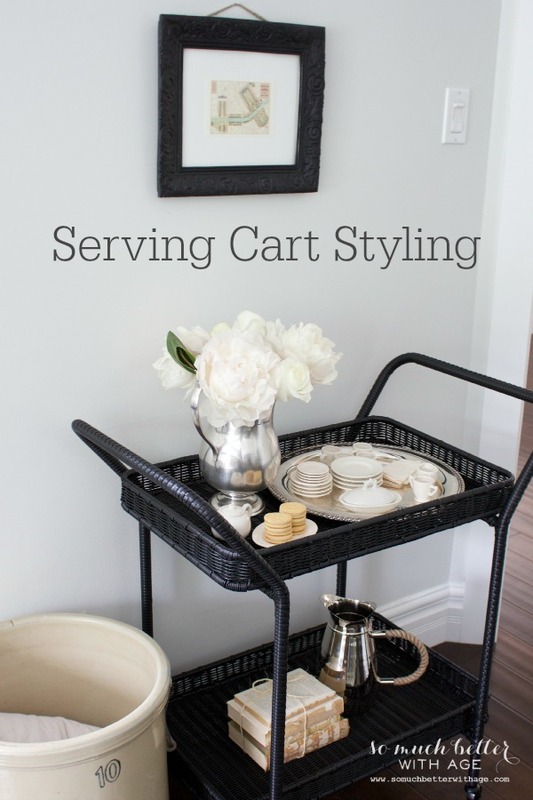 Love your little cart and how you have styled it. Looks great!